The average American uses 60 to 70 gallons of water per day on bathing, washing, cooking, and other everyday activities. Water is a vital resource, and water conservation is an increasingly important issue across the nation. Maybe you have already taken important steps to decrease your water usage, from checking leaky faucets to avoiding unnecessary toilet flushes, but you still receive a high water bill every month. At Star Cities Plumbing, we would like to suggest another quick plumbing tip that often goes overlooked. • Your sink faucets. Every time you turn on your sink to wash your hands or do the dishes, you may be using more water than necessary. 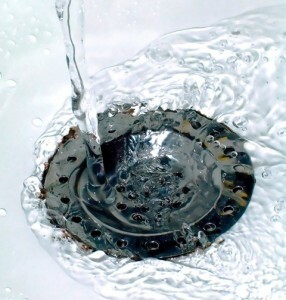 A low-flow aerator can fit over your faucet to reduce the rate of water leaving the spout. • Your water pressure. Call your neighborhood water authority to find your street’s water pressure setting. If it is higher than 60 pounds per square inch, you may be doing long-term damage to your plumbing while using more water than you need. While you can’t change all of New York plumbing, a pressure-reducing valve can reduce your home’s water pressure and preserve your pipes. When the flow of water leaving your faucets and showerheads is higher than it needs to be, you could be wasting water every time you wash your face, brush your teeth, or scrub your silverware. By making the simple alterations above, you can promote water conservation without dramatically altering your daily habits or skipping your morning shower. If you need help to make efficient plumbing changes, contact us, Star Cities Plumbing, at 800-547-1422 today.